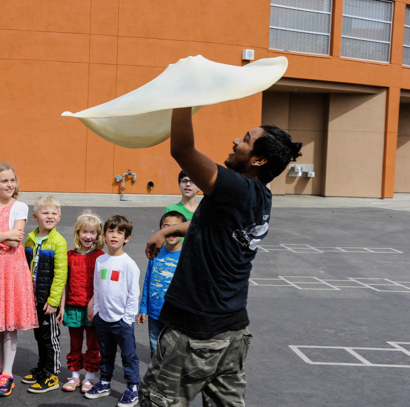 On Friday, March 9, Encinal Elementary School hosted its annual Cultural Arts Day — this year, celebrating all things Italia! 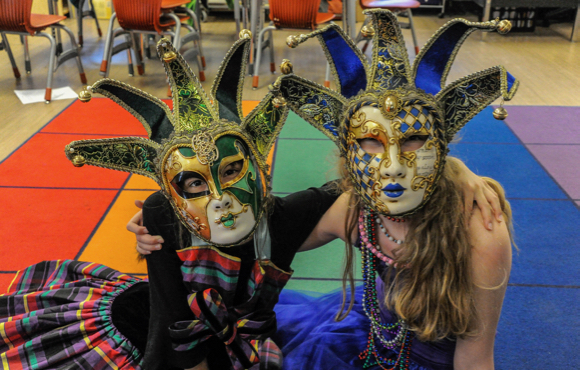 Sponsored by the PTO and organized and run by parent volunteers, Cultural Arts Day 2018 featured in-class presentations on Italian history, arts, and theater. Members of the San Jose Opera and local troupe Maria Signorile and PizziCali gave exciting and engaging performances; chefs from Amicis and Tony’s Pizza demonstrated their pizza-throwing techniques to crowds of cheering fans. 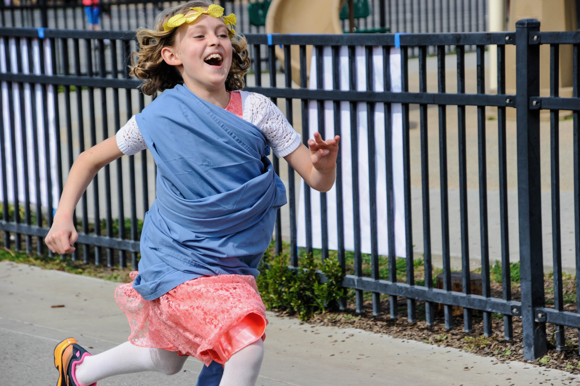 The students learned how to play bocce, created I Madonnari chalk paintings, and raced each other in Girl-Scout-cookie-box Lamborghinis and Senatorial sheet togas. They also visited the interactive museum and sampled Italian food made by two Encinal moms. The all-day event concluded with the older students attempting to recreate Michelangelo’s Sistine Chapel on the undersides of their desks. 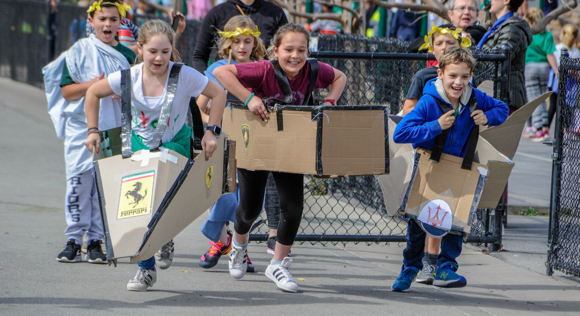 Then, hundreds Venetian-masked children, drifting hopefully past the biscotti table, made their way back to the front of the school, catching their rides as the Palio flags waved over the carpool line. Editor’s note and apology: Gina contributes less frequently than the female photographers we saluted on International Women’s Day, but her work — particularly capturing children at work and play — is ever bit as superb. So pleased to be able to feature these wonderful photos taken at the Cultural Arts Day.